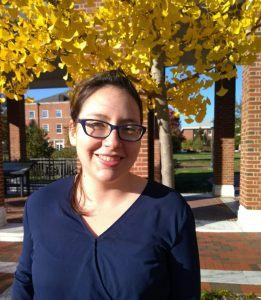 Graduate student Cristina Mantilla Suarez has been selected as one of the two LHC Physics Center’s Graduate Scholars for 2019. This program is aimed to support exceptional Graduate Students from the US institutions working on the CMS experiment at CERN, by allowing them to spend a year at Fermilab to pursue thesis research opportunities at the LHC Physics Center under the mentorship of resident scientists. Cristina will continue her work with Dr. Nhan Tran, a former student of our department, on the search for new light resonances reconstructed in highly boosted jets, as well as on the upgrade of the CMS’s Pixel Detector for the upcoming High Luminosity LHC.